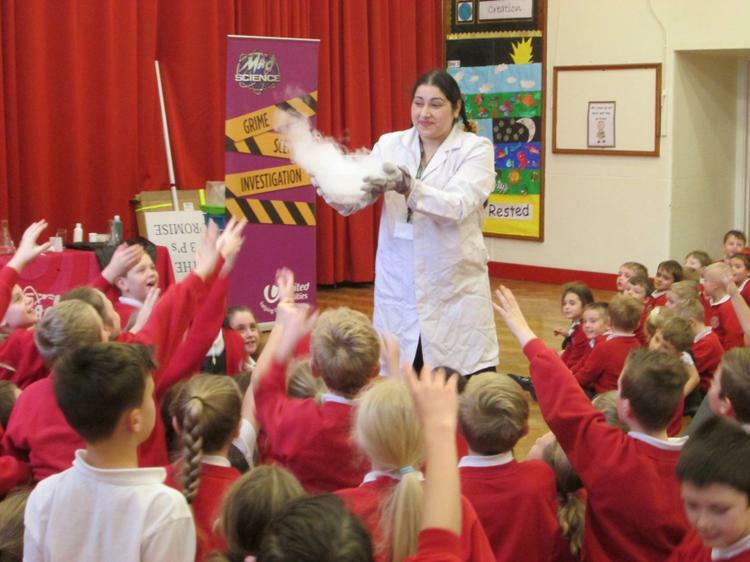 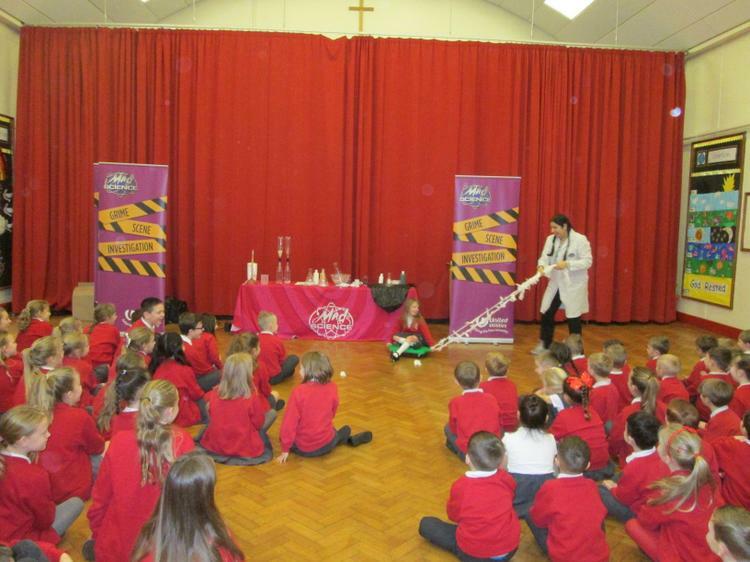 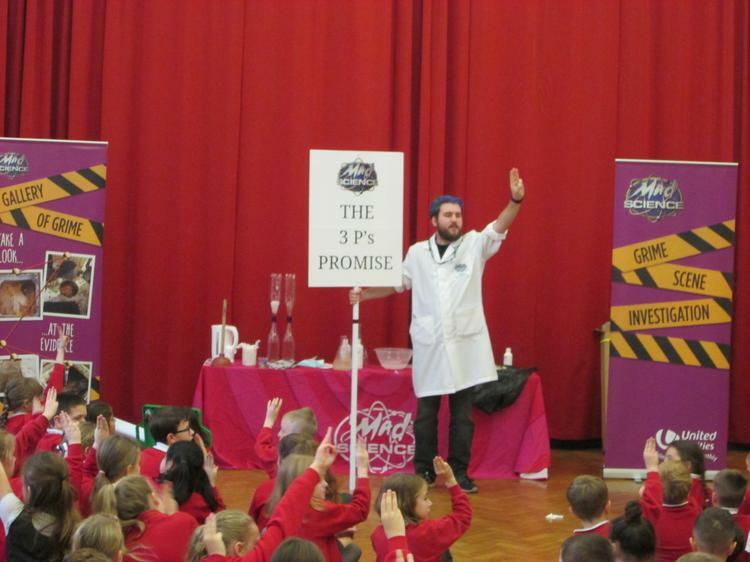 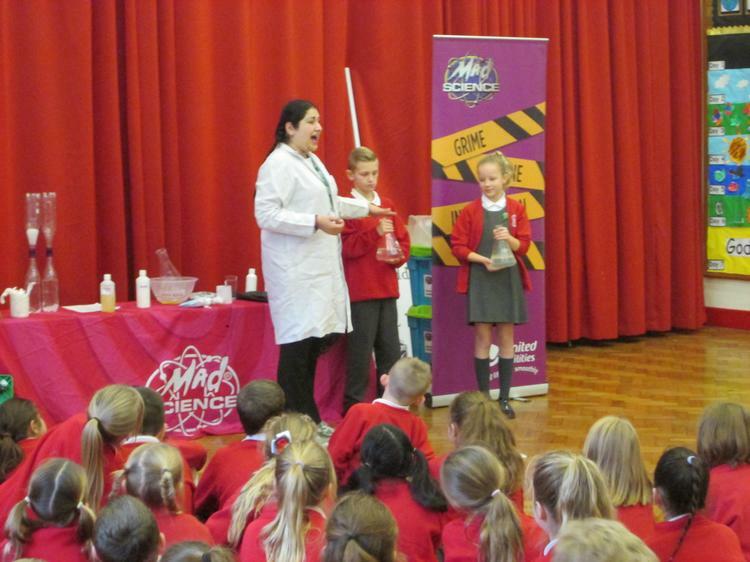 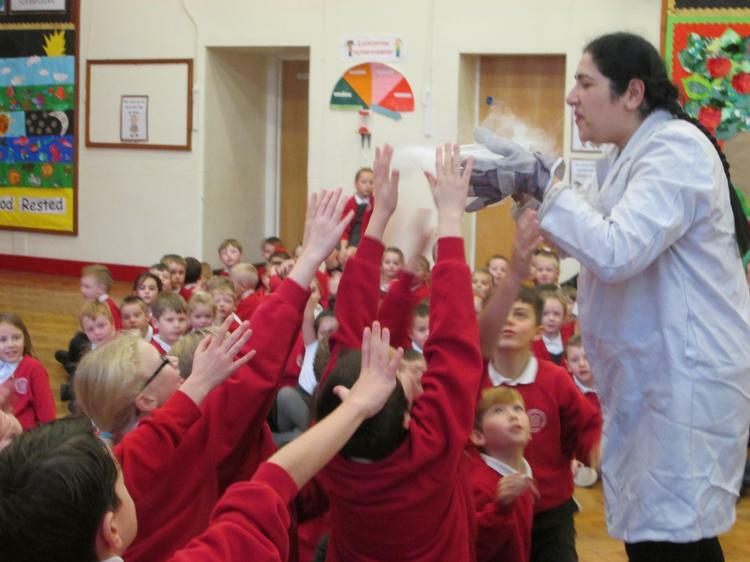 On Thursday 29th November we were treated to an assembly by the Mad Science organisation on behalf of United Utilities who were keen to point out to the children what can and can’t be flushed down the toilet to help maintain a healthy water and sewage system. 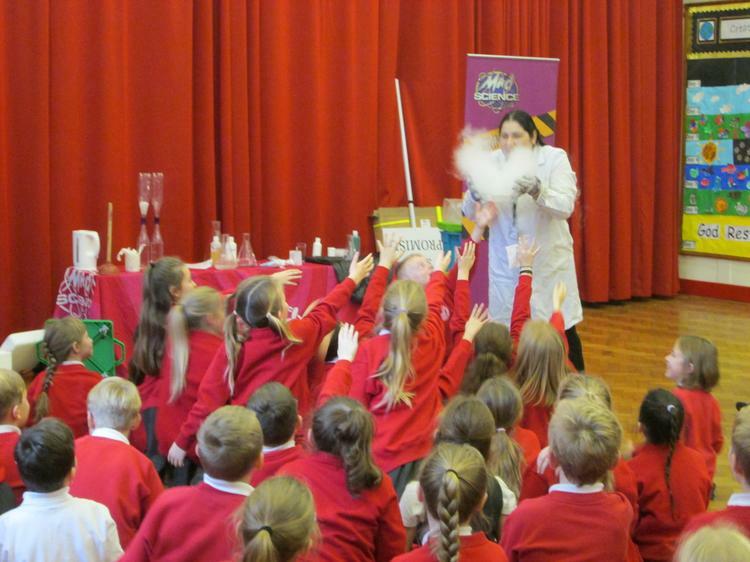 It was a very ‘colourful’ and crazy show with lots of experiments and interactivity. 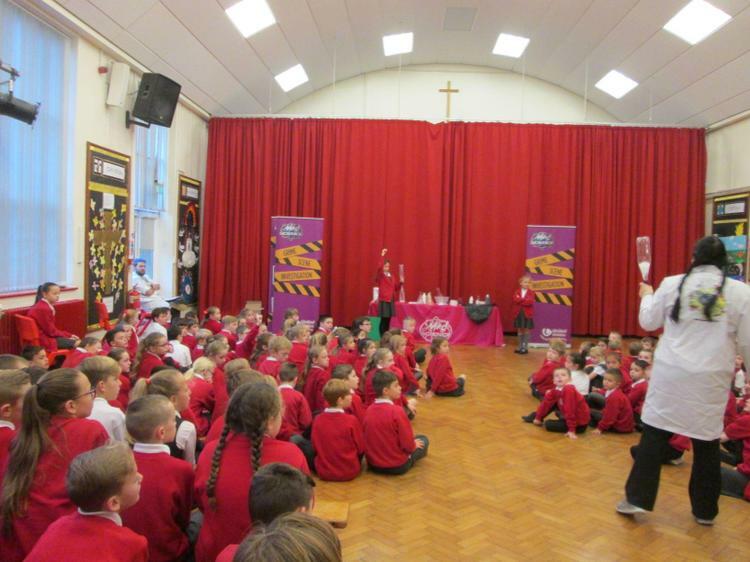 United utilities provided a leaflet to every child to accompany the assembly with the main learning points and some experiments to try at home.